In case you missed it in the Tripawds Gear and Downloads Blog…Black Friday and Cyber Monday deals are going on all week at Tripawds. 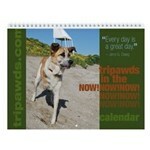 🙂 Now you can save in three Tripawds Featured Blogs – including right here for favorite Tripawds Gifts! 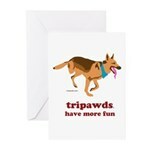 Save $3 OFF Tripawds Jewelry! Use coupon code “3OFF” at checkout to receive $3 off your your entire order. Save on custom handcrafted pet tags, pendants, memorial charms, rings and more. This offer is valid all weekend. 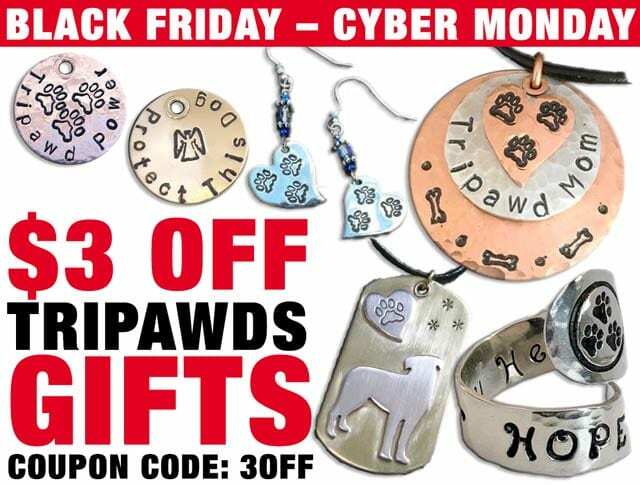 Coupon applies to all Tripawds Jewelry items* and expires at midnight on Cyber Monday, November 26, 2018. 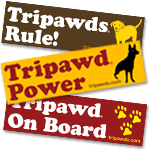 😮 NOTE: The Tripawds 3OFF coupon is also valid for savings in the Tripawds Downloads Store AND Tripawds Gear Shop! *Coupon code applies to all jewelry items made by Tripawds and is not applicable toward affiliate products purchased from external websites.